This page is all about ESL university writing and using writing tasks to get better at understanding and using university vocabulary. Doing writing activities is a good way of learning vocabulary as you have time to stop and think about the words you want to use and which word might be the best to use in a certain situation: you cannot do this when talking and having a conversation. When doing the tasks on this page do not rush through them, but rather stop and take your time to do each one as well as you possibly can. This will be very beneficial as it will let you learn the words much better. If you need any help deciding which word to use, you can go to the ESL university vocabulary page that has a list of words with definitions. For the first ESL university writing exercise you need to choose one of the following writing topics and write as much as you can. Use the university vocabulary to help you find the best words to use. Form full sentences and have several paragraphs. The more that you write the better you will get at using English. Once you have finished the first topic you could try to do one or both of the other topics as well. Describe what a student would do all day when at university. Explain to someone who has never been to university what fresher’s week is like. Describe the sort of people that work in a university. In the second ESL university writing exercise you need to read and understand the following passage and then rewrite it as a summary. A summary is just the main parts of a passage, so when you rewrite it you should make the new version shorter than the original and use new words and sentence structures. Use well-formed sentences and have each of them summarize the material from two or three sentences in the original passage. Most freshers are completely new to living away from home. This means they may have to embrace new habits and let go of the old ones. They also have to adapt to a new environment, which could make them feel uneasy and even stressful. Therefore, mental preparation before going to university is important. Here are some facts you need to know to be mentally prepared for college. Your accommodation might not be as comfortable as home. This can make you feel homesick so do what you can to create a homey atmosphere in your room. You can put up photos of your family, do soft furnishings, set a bedside lamp, or take a house plant. You have to cook for yourself and do your own laundry if you want to save your expenses. It can be a shock for those who cannot cook or those who are used to having their mum or cleaning lady do the laundry for them. However, learning to cook a few basic recipes and use a washing machine is not that difficult if you want to try. Your stuff will not always be yours if you use a shared kitchen or shared fridge. You might find that your sauce pan is missing when you want to use it or that the cake that you have been craving all day has vanished from the fridge. These sorts of incidents can lead to tensions between you and your friends, so it is better if you store your own cooking utensils in your room and label anything you leave in the shared fridge. During Freshers’ Fair, all the university societies will try to attract new members by giving away free pens, mugs and other kinds of merchandise. You will find yourself signing up for several university societies, which are way more than you have time for. You do not have to go to any of them if you do not want to, but you will likely get emails from those student societies for the rest of your time at university. Now, are you ready to go to university? In this ESL university writing exercise you need to look at the following picture and then describe what is happening. Write about what you can see in the picture and what you think might have happened in the past and what could happen in the future. Try to write as much as you can. 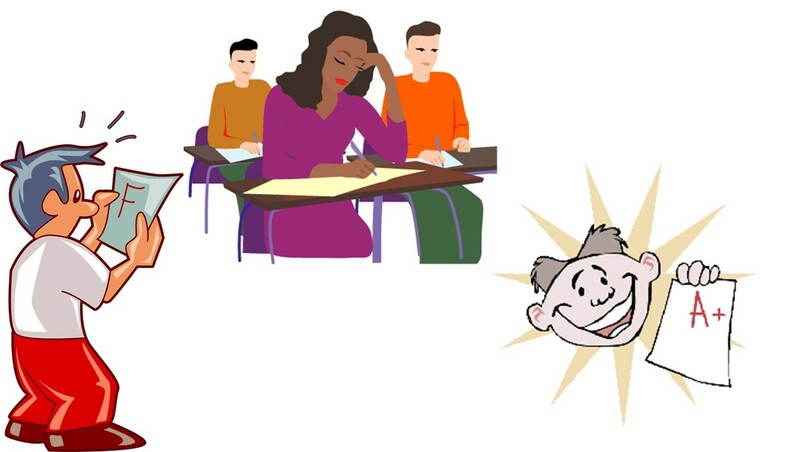 In the fourth ESL university writing task you need to choose one of the following role-play situations and write the role-play. In each situation you are told where it happens, what is happening and the people involved. You just need to write what the participants would say to each other. When you have written your role-play you should find some friends and act it out to practice speaking. Situation: A group of school children are talking about going to university. Participants: Group of school children (three or more). Situation: A student has failed a class and is talking to their lecturer about it. Participants: One student and one lecturer.